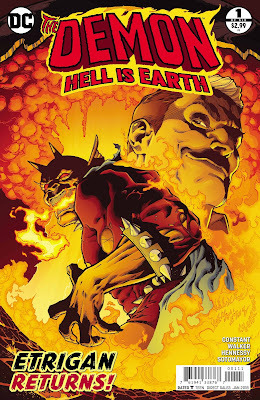 Hey, there’s a new series starring Etrigan the Demon coming out in two weeks! 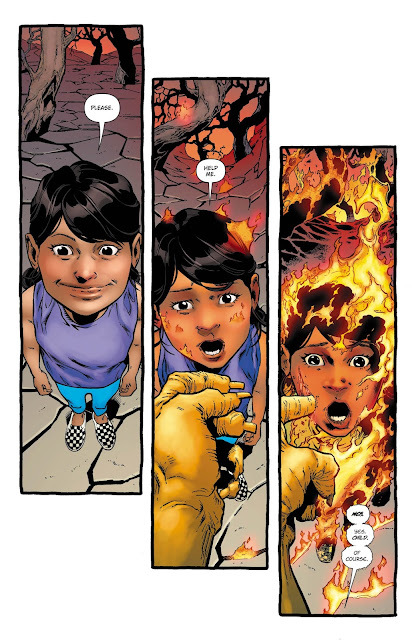 But you can read some of my thoughts on the first issue right now, in my review of Demon: Hell is Earth #1! Next week I’ll have a longer, more spoiler-filled piece. 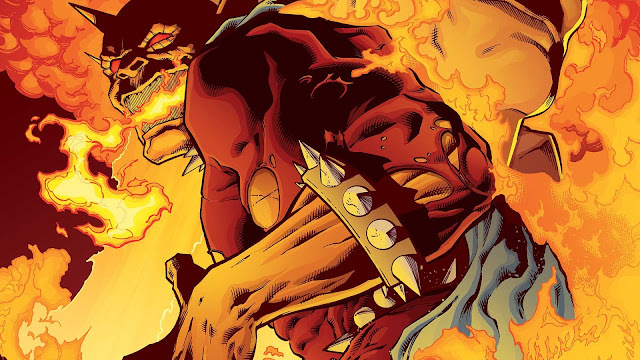 Of all Bronze Age properties created by Jack Kirby for DC Comics, Etrigan the Demon has perhaps the most varied interpretations. 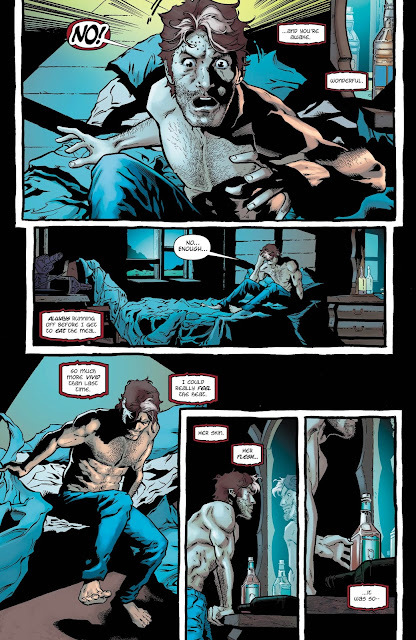 Sometimes a hellborne demon of death and destruction, sometimes an empathetic anti-hero to women and children. Sometimes he rhymes quick, sometimes he doesn’t rhyme. He’s meant to switch places with Jason Blood as per a curse from the wizard, but in many stories Etrigan’s human counterpart doesn’t figure in at all. When you see that Jack Kirby’s Demon is involved in a book, you’re not sure what you’re going to get. The saffron-hued monster from hell in this series is of a more traditional bent, emotionally wrangling with Jason Blood, who seeks to suppress his demonic counterpart because, well, he’s a demon. To this end, and for everyone’s safety, Jason hides out in a remote location, far from temptations and dangers and whatever else might make him snap out and exchange places with Etrigan. Unfortunately, this also makes him an obvious target for appropriate parties. You know: devil-shooting types. Witches. Warlocks. And probably street magicians like David Blaine too. 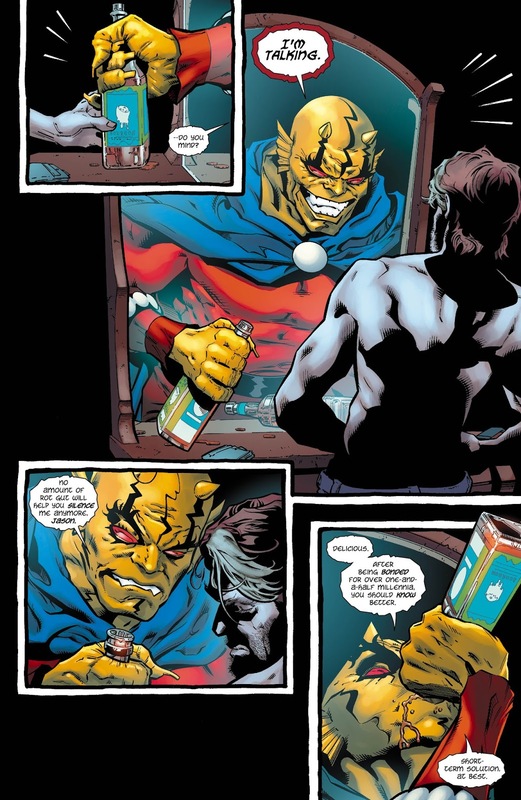 I don’t think it’s a terrible spoiler to say that Etrigan does emerge in this issue, but it’s the nature of his emergence that puts a new and interesting spin on the character. Visually, this book is incredible, which should be no shock given the art team. This is a strong opening issue and should play well to fans of the character. Those brand new to Etrigan will likely be able to follow along, but might be confused by some of the trappings of Jason’s curse. Those details are of no small consequence to this tale and should have been outlined for the uninitiated. More than likely, however, you’ll get the idea. A new status quo for Etrigan and some spectacular artwork make for a very strong opening issue to this series. Those familiar with the character should find this very intriguing, while folks brand new to the Demon could be a little confused. But why not give it a shot anyway? When has a deal with the devil ever gone wrong for someone?